Cultural Recipes from my Kitchen to Yours! Pizza night. One of the best nights of the week! If you and your family don't have a pizza night (well, good for you because you are probably healthier), but if you love pizza as much as the hubs and I do, then this is a recipe you will want! I typically always make my pizza from scratch and even make a whole wheat dough. For that recipe, you can visit here. 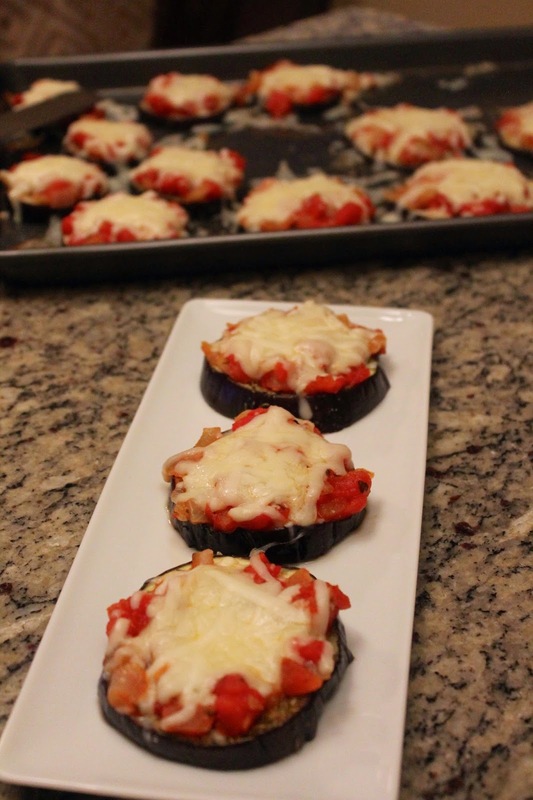 However, in order to change things up a bit, I saw a post on Pinterest - the almighty and wonderful Pinterest - for eggplant pizzas. I thought, this is genius! I love eggplant and I love pizza. Win, win! 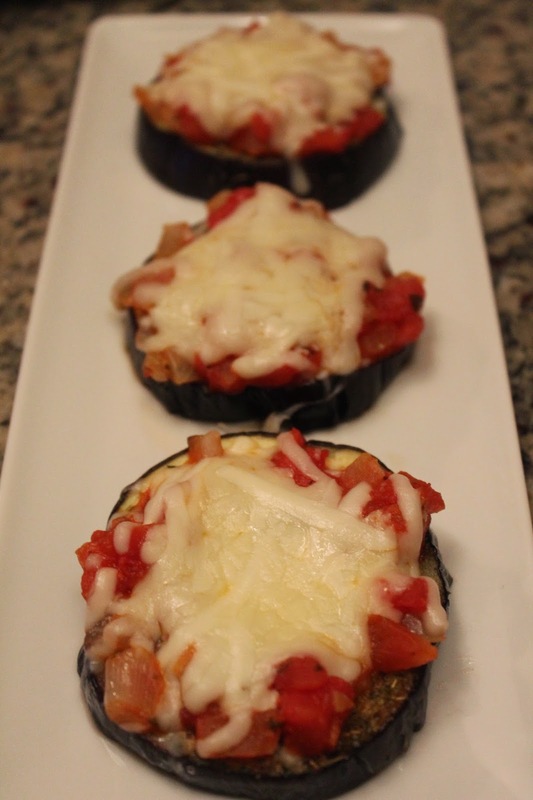 After doing a little research and some trial and error, I came up with the recipe below that was adapted from Julia Child's eggplant pizza recipe. I hope you it enjoy it as much as we do! 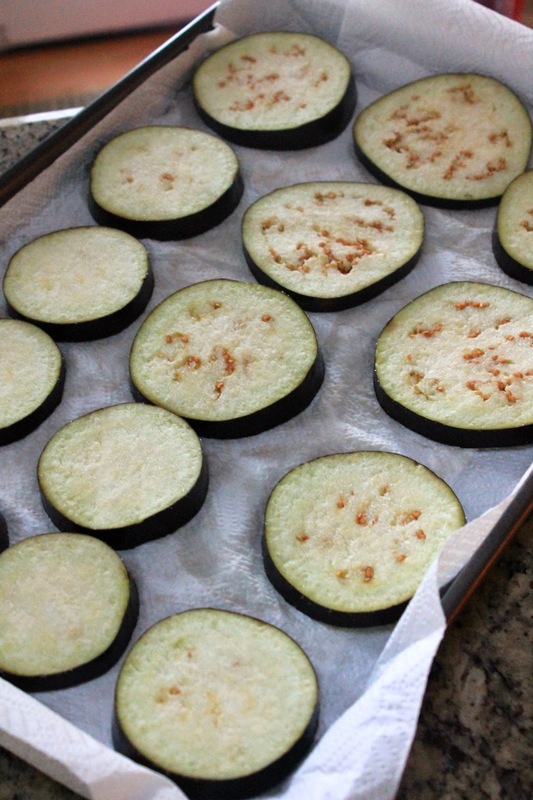 Slice your eggplant and place on a paper towel lined baking sheet. Sprinkle both sides of all of the eggplant slices with salt and let rest for at least 30 minutes, or up to an hour. Meanwhile, if you are making the tomato sauce, heat a medium sized skillet with a drizzle of olive oil. Add the onions and saute for a couple of minutes. Stir in the garlic. Add the dices tomatoes and season with salt and pepper and Italian herbs. For the Italian herbs, I do no more than a tablespoon total in the sauce (you will be adding more basil later). Let the sauce cook for at least 30 minutes and keep on a simmer. If the sauce begins to reduce too much, you can always add a tablespoon of water at a time. Returning to your eggplant, pat all of the slices dry with a paper towel (they will have "sweat" with the salt on them). Drizzle a little olive oil on all of the slices and evenly season each slice with your Italian herb seasoning. Cook in your preheated oven for about 15 to 20 minutes, or until the slices are fork tender. Be careful to not overcook them or they will become too soft and limp. Remove the slices from the oven and begin spooning tomato sauce onto each slice. Then, season with each slice with a little more basil. Finally, top off each slice with a sprinkle of Mozzarella cheese. Return the slices to the oven and cook for an additional 3-5 minutes, or until the cheese melts and is bubbly. These babies will smell so good, so be careful not to burn yourself eating them off of the pan! Enjoy! The Cultural Dish. Awesome Inc. theme. Theme images by Leontura. Powered by Blogger.